Janet was raised in a military family. She’s a wife, mother of two sons, and grandmother of eight. Janet has worked in the banking industry, as a freelance writer, and for an international ministry, Community Bible Study, most recently as the EA to the Executive Director. She continues to serve as a leader in her local class. She and her husband live in Williamsburg, Virginia, part of the historic triangle, (Jamestown, Williamsburg, Yorktown). 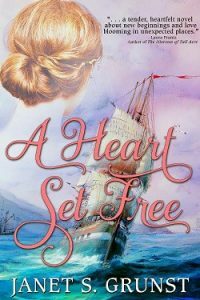 A Heart Set Free is set in 1770, pre-Revolutionary War Virginia and its theme is forgiveness. A Scottish woman indentures herself to leave her troubles behind in Scotland and start a new life in the colonies. A widowed planter needs help raising his two children so purchases her indenture. Historical Romance. Who doesn’t like romance and I’ve always had a passion for history. Unfortunately the emphasis on teaching world and US history has declined in recent decades. To paraphrase, George Santayana, Those who do not learn from history are prone to repeat it. 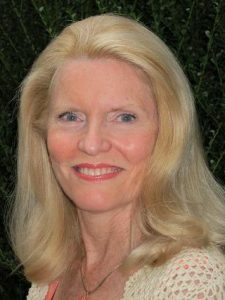 My love of writing fiction grew out of a desire to share stories that communicate the truths of the Christian faith, and entertain, as well as bring inspiration, healing, and hope to the reader. Heather Douglas. It’s a Scottish name that reminded me of the lovely flowers that grow abundantly across he Scottish moors. It begins with prayer and Bible study. Some time is devoted to marketing and developing my platform. The marketing. Finding successful and economical ways to increase a books exposure is very challenging. Writer’s manuscripts are like children. We pour our time, love, faith, insight, imagination, discipline, and hope into them. We want to see them mature into a creation we can be proud of, and that others will benefit from and enjoy. A Heart For Freedom releases October 1, 2018. It’s a stand-alone story that picks up in 1775 with the characters in A Heart Set Free. The third story in the trilogy, a stand-alone story that begins in 1781. Thank you for hosting me, Susan.